April 26, 2014. Delaware Valley Chapter of the Guild of Bookworkers. Philadelphia. One day Sharpening/ Knifemaking workshop. July 14 – August 15, 2014. 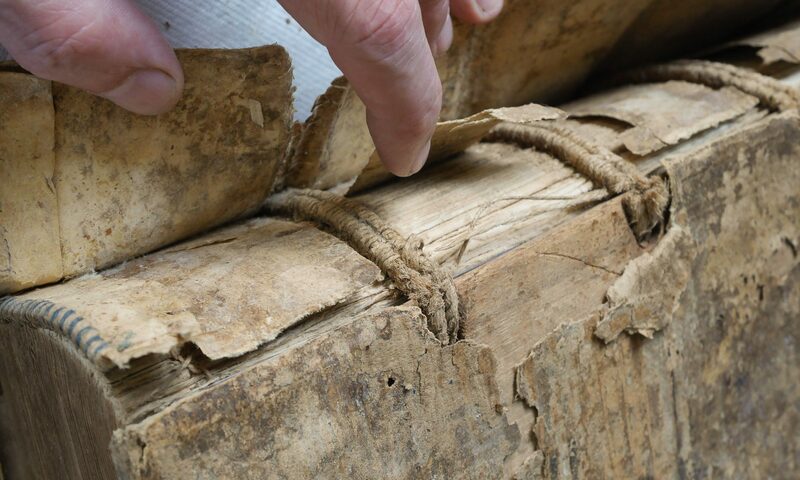 Historic Book Structures for Conservators. Boston. This five-week class meets Monday – Friday each week at the Bookbinding Department of North Bennet Street School. Field trips are scheduled for some Fridays, and other Fridays will be open lab days. The course is designed to further develop basic bookbinding bench skills and to explore historic book structures in the context of the conservation of books as historic artifacts. Readings, research on book structures and bookbinding history, and creating models of historic structures are the basis of the course. Class presentations, short essays, a midterm and possible online publishing are required. The course is for students who are serious about bookbinding history and who are interested in further exploring conservation of books as cultural heritage. Class size is limited. Admission to the class is determined by application. Application requirements include a personal statement on the role of the class in your work, a portfolio of three-dimensional studio work that exhibits fine detail, and a recommendation (from a professional in the conservation or preservation field if possible). Students will need to supply their own hand tools. For workshop registration contact North Bennet Street School. I’m already getting excited about this class. Since it is five weeks long, we will be able to dive in deep. Additionally, it will be a joy to teach at the bookbinding department of North Bennett Street School, which I feel is one of the best equipped bookbinding teaching facilities in the world. The syllabus is not set in stone yet, but is largely based what Chela Metzger did for the past two years. The class will move backwards through book history from now to the beginning of print. 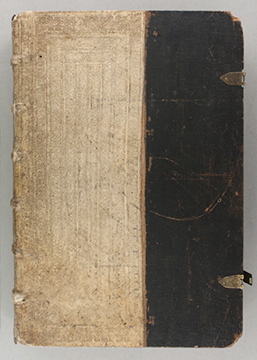 A 20th century library binding, boards binding, a half leather binding, late 18th century French binding, a limp vellum structure, early 17th c. English trade binding and a late gothic German wood boards tawed structure are all likely canidates. This class will be taught at a graduate level, and I would love to have participants with a range of backgrounds: pre-program, grad students, technicians with professional ambitions, and mid-career conservators who want to get their hands off the keyboard and back into some books. Lou Di Gennaro, Special Collections Conservator in the Barbara Goldsmith Book & Paper Conservation Laboratory at New York University’s Bobst Library has an informative blog post titled “Mending Split Wooden Boards on a 16th Century Binding of the Nuremberg Chronicle”. I consulted with Lou on the project, and the treatment we designed was based a paper Alexis Hagadorn and I wrote, “The Use of Parchment to Reinforce Split Wooden Bookboards, with Preliminary Observations into the Effects of RH Cycling on these Repairs”, Journal of the Institute of Conservation 33 (2010) pp. 41- 63. Image courtesy Barbara Goldsmith Book & Paper Conservation Laboratory, Bobst Library, New York University.